For whatever reason, there are those times when really need to record a call, yet smartphones do not typically come with this feature built right in and most third-party apps are often quite laggy and inefficient, quickly becoming more of a memory hog than a useful add-on. 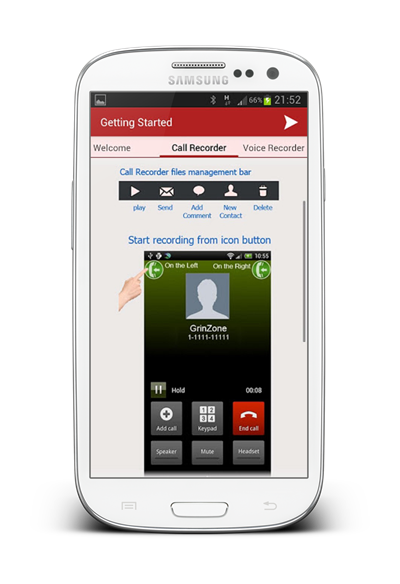 InCall Recorder aims to change all of that by providing an easy and efficient way for users to record their calls in real time. Best of all, it’s completely free. InCall Recorder is incredibly simple to use: when launching it for the first time, it will display an easy-to-understand tutorial on how to use all parts of the app and hit the ground running. Once it is set up, using this app is incredibly simple: from the standard Android call screen, simply slide from the top left or from the top right to begin recording a call, any call. This means that you can quickly begin recording any call with a flick of your finger without the need to launch any specific app. Recorded audio files are then stored in relatively small files, 7MB for one full hour of recorded audio, and can then be equalized and edited. Once you are happy with the final recording, you can upload the file to WhatsApp, Dropbox and Gmail, among others. This recorder app is also packed with a whole slew of interesting bonuses that will likely lead many to choose this InCall Recorder over most of its competitors. 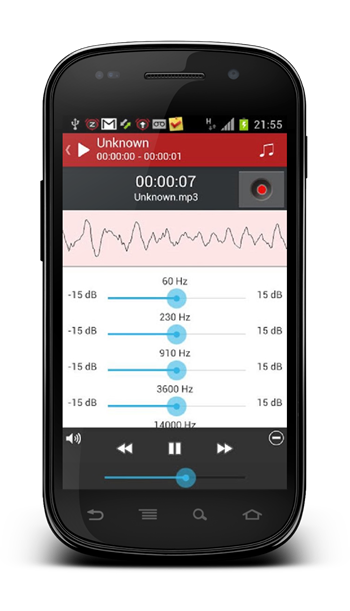 In addition to in-call recording, this app also works perfectly as a voice recorder, allowing users to edit and store their voice recordings using the same tools used for editing just-recorded calls. There are also other smaller, yet neat, features, such as an “add contact” option for recordings from unknown contacts, as well as the ability to set audio files as notification sounds or ringtones. If you are looking for a great call recorder, this one is definitely worth a try. Most of all, as mentioned before, this one is available completely free of charge from Google Play.